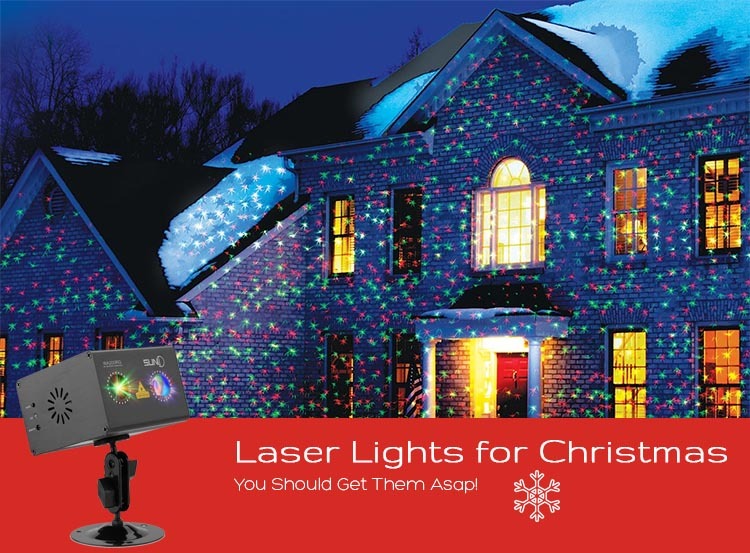 Home / Christmas / Laser Lights for Christmas- Here’s Why You Should Get Them Asap! Laser Lights for Christmas- Here’s Why You Should Get Them Asap! This isn’t the very first year when your neighborhood is flooded with laser lights for Christmas. As a matter of fact, people have started to grow into them more and more each year and we barely see some old string lights nowadays. Traditional or Laser lights for Christmas? What are the main benefits when using laser lights? Can you get creative when using laser lights? Light up the plants and the trees! At a glance, it’s obvious that the main advantage for laser lights is their fast and easy installation, not to mention the impressive effect you’re able to create in only a couple of minutes. 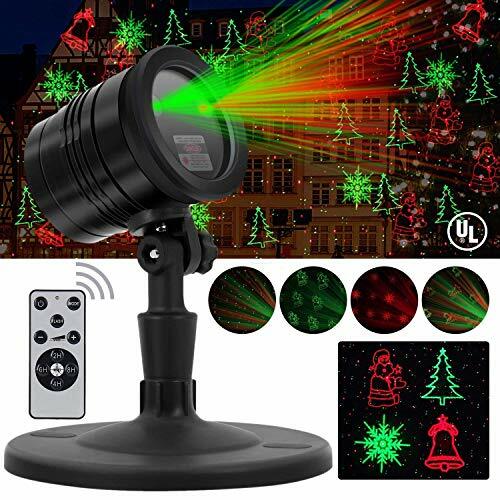 Now that everyone wants laser lights for Christmas, the options are a lot more various and numerous, coming with incredible features and functions. 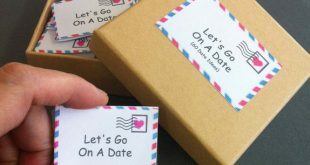 If you’re sitting on the fence about which way to go (traditional or laser), here’s one tip that is going to help you: it’s all about the vibe you’re aiming for. You can even go with both options, but it’s better to due diligence about the laser lights so that you can choose right. No matter what they say, the traditional Christmas lights have a classic appearance, but it’s going to take you a lot of money and time to cover a wide area with them. Not only that you’re going to have to make sure that every single light strand is linked to another, but you also pay attention to the power outlets. It may take you a while, but it’s going to worth every single minute you spend for installing the lights. Most laser lights out there are designed to cover impressively large ranges and you can get astonishing results on a big area without installing hundreds of traditional lightbulbs. In addition, you’re not going to spend hours for installation, but you’re going to obtain amazing effects. 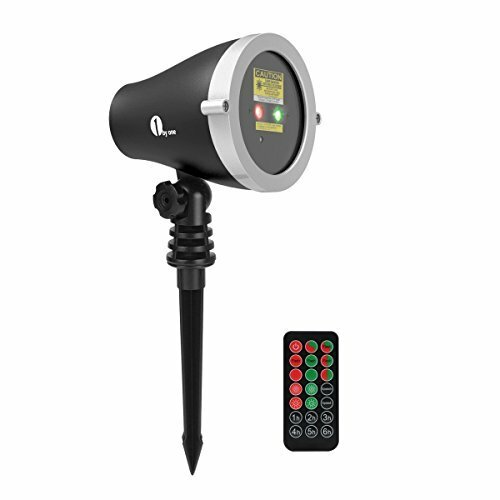 For instance, the 1byone Christmas Outdoor Laser Light Projector with Wireless Remote Controller is able to cover up to 2,100 sq.ft. from a distance of 25ft. it’s a great option for your Christmas and it’s safe, easy to use and really affordable. You can set it on motion, flashing or simply stationary. It comes with built-in timer function so it’s going to turn off automatically after 6H and turn on back again after 18H. you may also use the remote control for setting the time. On top of everything else, it’s weather resistance and has an IP65 rating for the light casing and IP44 for the power adapter. Not only the laser lights are able to require a little of your time for installation, but they also save you a buck too. If you’re planning to cover a big area with some traditional lights, you may find yourself with an empty wallet at the end of it all. Let’s not to mention that you always need to replace a bulb or two on a traditional light string. Even if the price range is really wide, you can find Christmas laser lights for $20. As with everything else, the more you pay, the more you can expect in terms of features or performances. 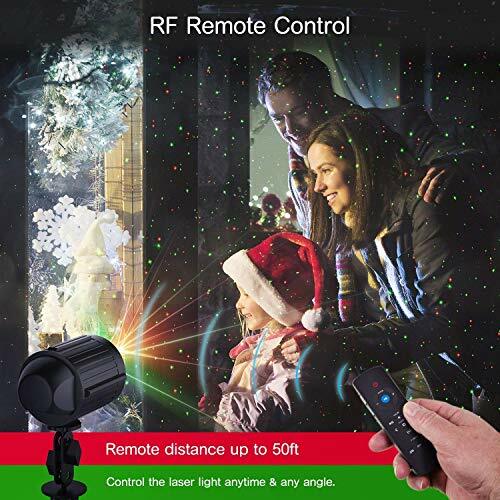 It may sound incredible, but you’re going to pay less than $20 for the Christmas Lights Projector, Laser Lights Star Night Shower with RF Remote Controller Waterproof LED Projector. Even if the price may seal the deal for many, the laser projector is quite a nice surprise for the money. It’s lightweight, comes with a metal shell and effective heat dissipation. You can choose one of the three mounting styles (wall mounting, tripod mounting or ground mounting) and you may use three modes for the light show. You can even set the times, according to your needs. It’s IP65 waterproof so it’s both rain and snow resistant. You can install it both indoor and outdoor and the range of projection is wide. For this kind of money, the laser projector is quite a bang for your buck! 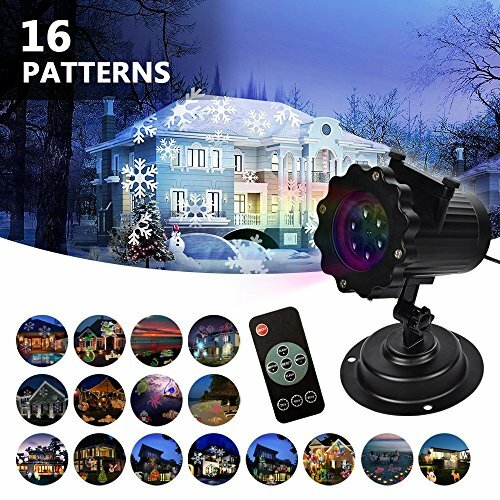 As for the Motion Pattern Firefly 3 models in 1 Continuous 18 Patterns LEDMALL RGB Outdoor Laser Garden and Christmas Lights with RF remote control, it sits on the other end of the price range and you’re going to pay more than $100 for it. The laser decorative projector offers 3 themes and provides 18moving holiday patterns to choose from. You get speed control options, color options and you may set the timer as well. It comes with 24-hour time auto turn on. It’s waterproof IP67 and comes with Deluxe Metal housing case and 25ft. long power cord. The impressive coverage and brightness sure stand behind its success. If you’re going to use Christmas laser lights, you’re definitely going to eliminate the tangled strings of lights that you have to deal with in the case of traditional Christmas lights. We all know that putting back nicely and organized the light strings for the storage almost never happens. And we all lose so much time when trying to detangle them for hanging. One of the best parts about the laser lights is the easy installation. Many models include a stake mounting system. you only need to plug it in (or put the battery in), turn it on and…enjoy the show. No more climbing up the ladder, stringing the lights all the way up on the roof or untangling the cords for hours. 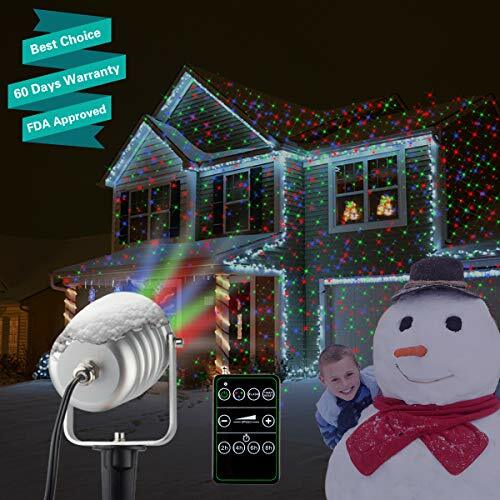 A very good example on this one is the LIFU Christmas Lights Projector – 2018 Upgrade Version 16 Patterns LED Projector. You can simply stick it in the ground on a stake or mount it on its supplied round plate (for the indoor use). 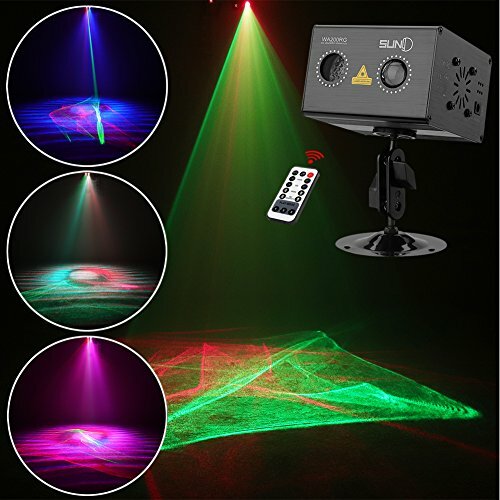 The laser projector includes 16 multi-color switchable patters and you can use it for Christmas, but also for Thanksgiving, Halloween, birthday or Valentine’s Day. It’s made of ABS and plastic and takes snow, rain and strong sunlight as well. It has a waterproof build and comes with built-in timer so you may set it and leave home. We all like the programmed Christmas light shows that are happening in our neighborhood. However, not everyone has the money or the energy to spend for developing the impressive light shows. You’re also going to have to learn some basics on timers, programmers and software and not all of us are really interested about it. Many lasers light projectors out there are coming with pre-programmed shows so you’re not going to have to do anything but the installation per se. most of the laser light projectors come with a remote control so you may do all the setting you need from the comfort of your home. As for the shows, the range is impressive and you can go with simple modes or step up your game with something more sophisticated. 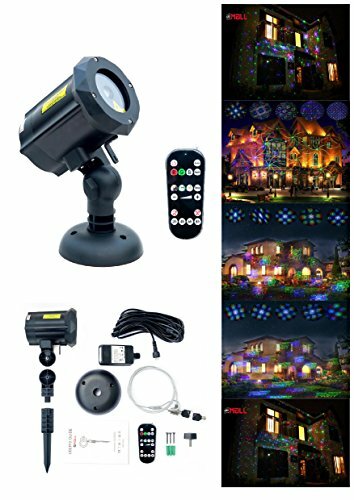 Not only that the Christmas Laser Lights, Projector for Outdoor Garden Decorations – Waterproof & Timer Preset is easy to install or affordable, but it also gives various patterns to choose from. The laser Christmas lights have 3 pattern modes and it’s going to project thousands of red and green star lights that blink, covering more than 2150sq.ft. the projector also turns on/off automatically after 2, 4, 6 or 8 hours. You can use the RF remote control for selecting the colors or the moving speed (slow, mid, fast or static). The remote range is up to 49ft. It’s made with aluminum waterproof and has an IP65 waterproof body. The power cord is 9ft long and works from -40F to 1040F. We can’t really know for sure why red and green lights are still ruling the world of Christmas lights, every single year. Setting up the laser lights is a breeze, but the easy installation isn’t the most important aspect (not for us, anyway). The fact that you can get a fresh and impressive appearance for your garden this Christmas may be the selling point for many. You should try covering your house with some beautiful red and green stars (this doesn’t mean you shouldn’t try some other colors too). This is one part where traditional lights are never going to be able to compete with. You simply need to plug the laser in and point it at your house. Put your trust and faith into one of the most popular laser lights out there. The Star Shower as Seen on TV Static Laser Lights Star Projector is able to cover more than 600sq.ft. of bright and amazing star light. The laser projector is weather resistant and helps you create a nice festive look around your house in only a couple of minutes. It’s safe to use and gives you the chance to enjoy a nice show of green and red or combination of stars. One rule of thumb to remember is that it’s better that you aim a specific area and to move light as close as possible to the location you need. Truth be told, the Christmas lights don’t look bad at all in the trees or bushes around the house. this doesn’t mean you cannot use the laser lights for the same (or even better) effect. You should set the laser on the ground and aim the beams up into the branches. The tree is going to look like it’s glowing with millions of shiny stars. The depth of the branches and the leaves are going to make each laser beam sparkle so nicely. You can get a better effect when using a moving laser. 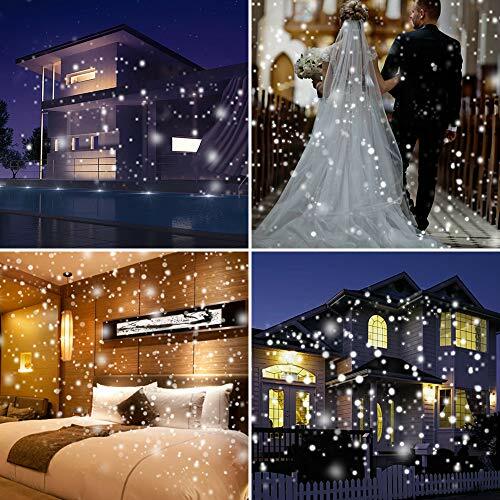 Put some snowfall lights effect in your trees this year with the LED Christmas Projector Lights, Snowfall Light Waterproof Snow Flurries Landscape Spotlight White Snowflakes. The laser lights create a dreamy snow scene and the many rotating white spots are mesmerizing, giving you the impression that millions of snow flurries are falling down from the sky. The 3000 adjustable projector head is easy to aim and the projector comes with RF remote for easier use. The remote controller has 65ft. barrier-free control and no point-to-point operation. The projector also comes with built-in timer and has a wide spotting range (16-32ft). it comes with both round base and long ground stake for easier installation. It’s waterproof IP65, but you can use it indoor as well. DJs have been using the laser lights for years now and the days when you could only see the laser projects in clubs are all gone. The Christmas laser lights are for everyone and everyone is enjoying their powers. The only thing to worry about when using the laser lights is where you place them and how you aim them. For instance, you should never place them straight as eye level as you may be hurting someone’s eyesight like this. You should always go above head-level, mounting them on a stand, tree or even on some part of your house. 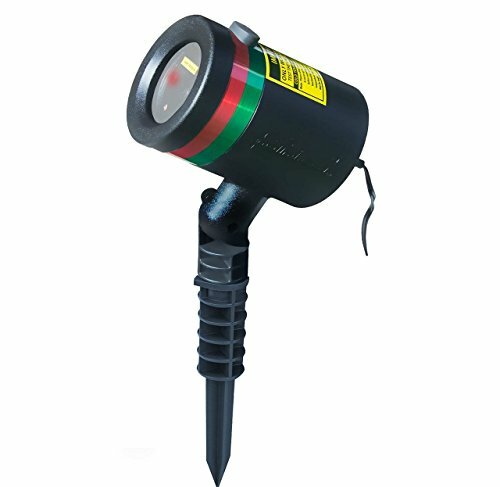 Starry Laser Lights Landscape Projector Lights Outdoor Waterproof Laser Lamp is both simple and safe as it’s easy to install and has waterproof build. It includes automatic timers and you may also set the timing mode with the remote control. The laser lights can cover up to 6700sq.ft. from 25 ft. distance. You can go with flashing, twinkle or simply stationary modes. They’re impressive and really popular. As for your Christmas party at work, take a leap of faith with the Laser Projector SUNY RG Gobos Projector Full Color Galaxy Projector LED Projection Aurora Laser Light Show Sound Activated DJ Laser Lights Machine Party Light Xmas Disco Holiday Christmas Event Show. The laser light projector is a red and green Aurora Laser light which creates amazing and magical effects. It’s made with high-quality metal shell, running a long time with efficient heat dissipation. It comes with an upgraded remote control for more functions. It has a multi-mount stand so you can install it with any angle, wherever you want. It provides various playing modes and is the best asset for any Christmas indoor event. Laser lights are easy to install, but amazing in terms of effects. They’re affordable, safe, versatile and spare you a lot of effort and time for installation too. Still sitting on the fence?